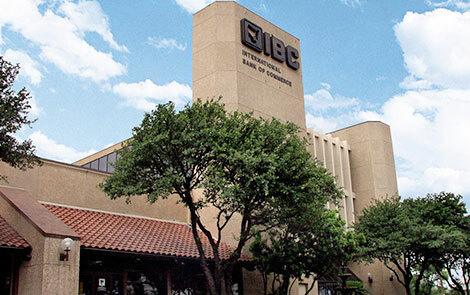 IBC Bank was founded in 1966 to meet the needs of small businesses in Laredo, Texas. Today, it serves as the flagship bank of International Bancshares Corporation. Since its opening, IBC Bank has grown from less than $1 million in assets to more than $11.8 billion, making it one of Texas' largest holding companies. We now serve about 89 communities throughout Texas and Oklahoma with over 185 branches and over 285 ATMs providing full service banking seven days a week. At IBC Bank we make banking convenient for our customers by offering late and weekend hours at many of our locations. In 2018, J.D. Power began to measure IBC Bank's customer satisfaction with the service quality provided across our branch network. Through this engagement, J.D. Power is periodically surveying all our customers in regards to your satisfaction with IBC Bank's products, branch quality and services, ATMs and online/mobile banking services. "Prompt Response" - whether that means traveling to a customer's place of business, or working far beyond the mythical banker's hours. Providing the right connections internationally and statewide, offering our customers the resources and relationships we've spent decades developing. And, most importantly, IBC's dedication to the growth and success of our customers.